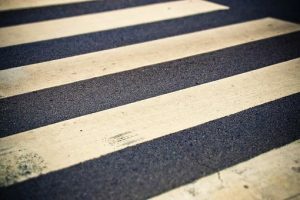 Harwich Port, MA (July 12, 2018) – A pedestrian suffered injuries after being struck by a vehicle on Wednesday in Harwich Port. The pedestrian, who has not been identified, was crossing Ayer Road near Route 28 around 5:00 pm. At that time, a white minivan crossed in front of the victim, striking her and knocking her onto the ground. The Harwich Fire Department, along with Harwich Police responded to the scene to assist the injured woman. The woman suffered a non-life threatening injury in the collision. She was sent to Cape Cod Hospital where she is expected to make a full recovery. Harwich Police took statements from both the injured pedestrian as well as the driver of the minivan. The accident remains under investigation and no charges had been reported as of Thursday morning. We hope that the pedestrian in this accident has a quick and full recovery. Pedestrian accidents are some of the most serious and sometimes deadly accidents that we encounter on a daily basis.